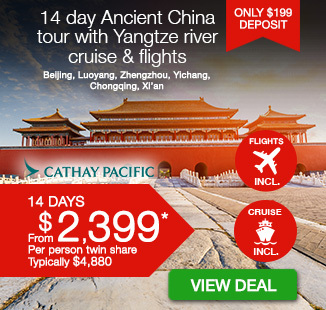 14 day Ancient China tour with Yangtze River Cruise including return international flights, accommodation, breakfast daily, professional tour guides, in-depth sightseeing and more! Soak up the history of China on our 14 day Ancient China tour, including a Yangtze River Cruise. 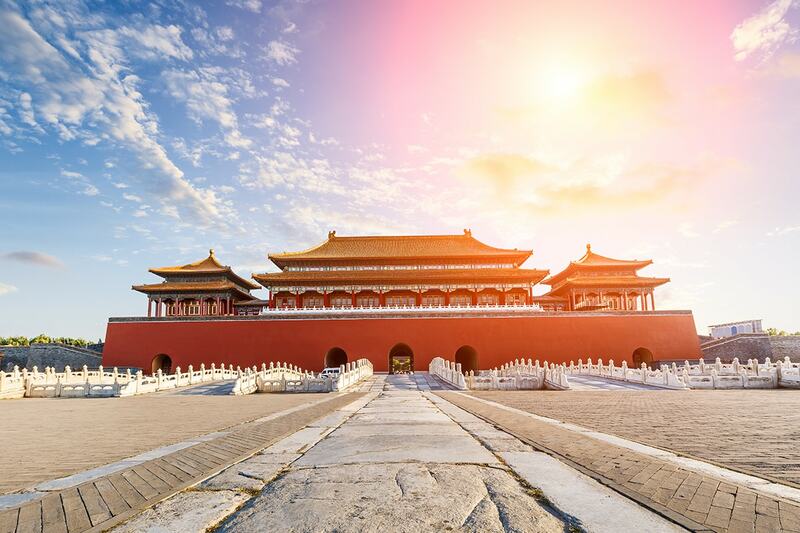 Begin your adventure in Beijing where you will stand in Tiananmen Sqaure before stepping into the glorious Forbidden City, which is one of China’s largest and most well preserved sights. 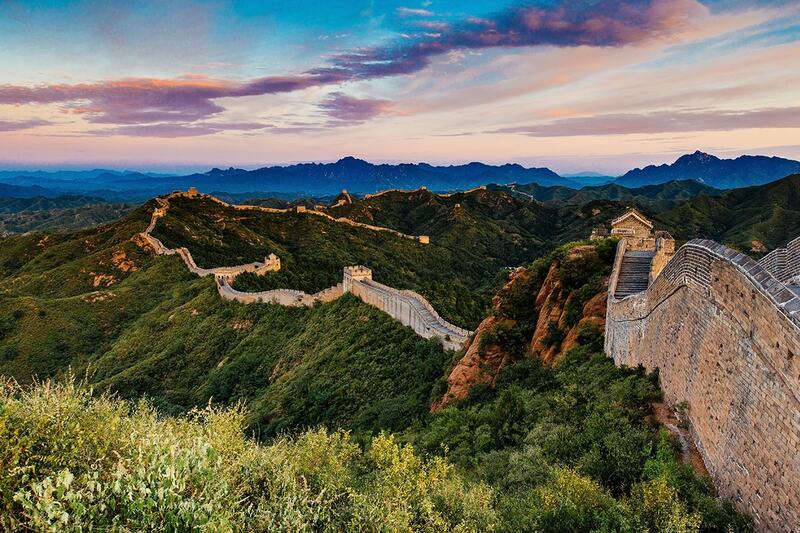 Travel to the infamous Great Wall where you will find unforgettable and breathtaking views at every turn. Experience a thrilling bullet train towards the town of Luoyang, home to one of China’s first Buddhist temple and the Longmen Grottoes, where thousands of Buddhist carvings can be found. In Zhengzhou, visit the most reputable and scenic temple of China the Shaolin Temple. Embark on your Yangtze River Cruise where you will journey through the depths of China to see some of the most spectacular scenery imaginable. Relax, take in the sights and enjoy all meals aboard your scenic river cruise. 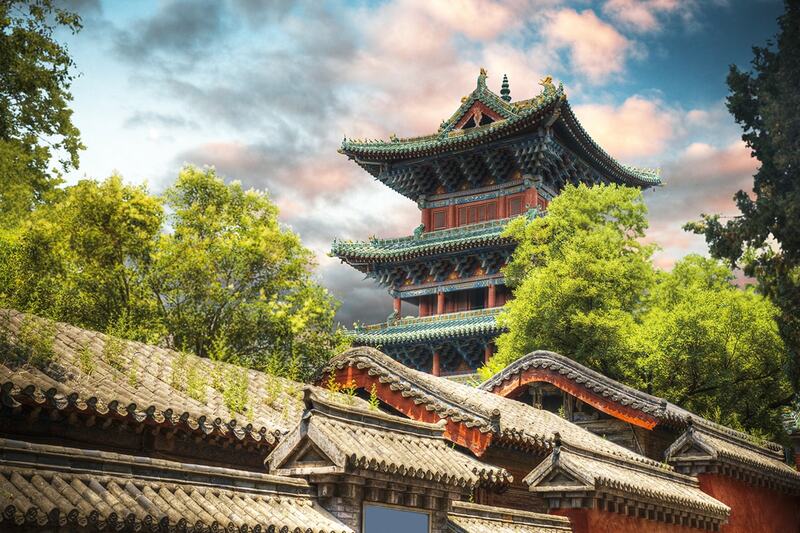 Your adventure will end in the historical town of Xi’an, which served as the capital city during several dynasties and is now home to a number of precious and ancient relics. 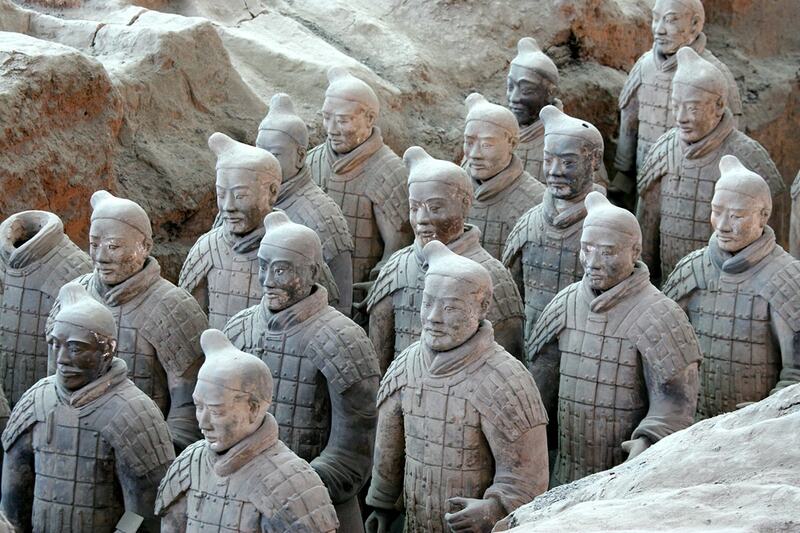 Awe at one of the wonders of the world as you take a visit to the Terracotta Warriors Site. Your China holiday will begin with an international flight to Beijing. 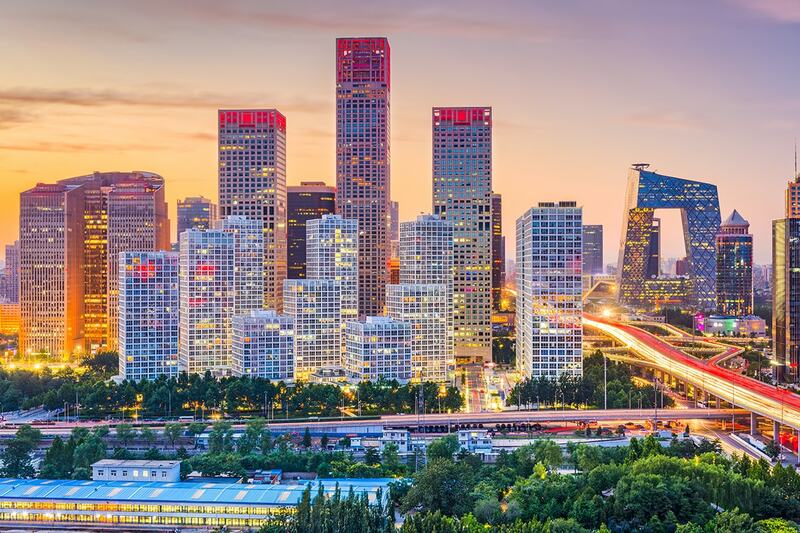 Upon arrival at Beijing Capital International Airport you will be met by your tour guide and transferred to your hotel to prepare for your tour tomorrow. Today, you will travel into the rugged mountain landscapes north of the city to the magnificent Great Wall of China. Once on top of this ancient defensive structure, you’ll find that some sections are quite steep, but the views are magnificent and the experience is truly unforgettable. You will then learn about Jade, China’s most precious and celebrated stone, and its manufacturing process at the largest Jade factory in Beijing. Furthermore, you will visit the 2008 Olympic Games Sites including the Bird’s Nest and Water Cube. Before returning to your hotel, experience the oriental foot massage at a traditional Chinese medical centre where you will learn about alternative treatments for illness and have the chance to consult a Chinese Medical professional. Set out with your trip leader to discover Beijing’s imperial treasures. Stand in Tiananmen Square, one of the largest and grandest public plazas in the world before progressing on to the Forbidden City. Enter the imposing walls of the Forbidden City, once the exclusive domain of the Ming Dynasty, for an exclusive tour through this vast complex of courtyards and lanes. Continue your day with an optional rickshaw tour of the traditional Hutong area, famous for the old-style buildings, and time-honoured workshops. Enjoy a meal with a local family here before retiring to your hotel. Optional tour (additional cost applies): Continue your day with an optional Rickshaw tour of the traditional Hutong area, famous for the old-style buildings, and time-honoured workshops. Enjoy a meal with a local family here before returning to your hotel. Today you will be transferred from Beijing to Luoyang via bullet train. The city of Luoyang is widely considered the birthplace of Chinese civilization and is one of the four great ancient capitals of China. Upon arrival, you will be met by your tour guide and transferred to your hotel. Take some time to relax and prepare for your tour tomorrow. 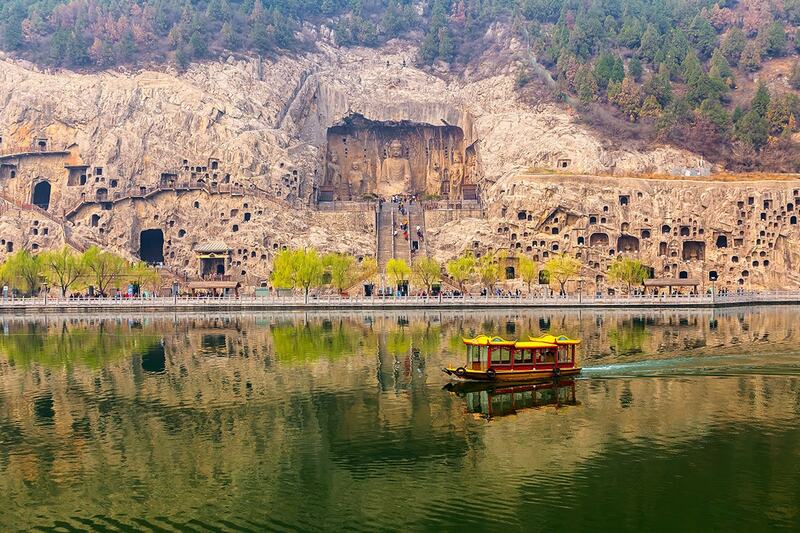 Today, you’ll discover the Longmen Grottoes, densely scattered along the cliffs on both banks of the Yi River. 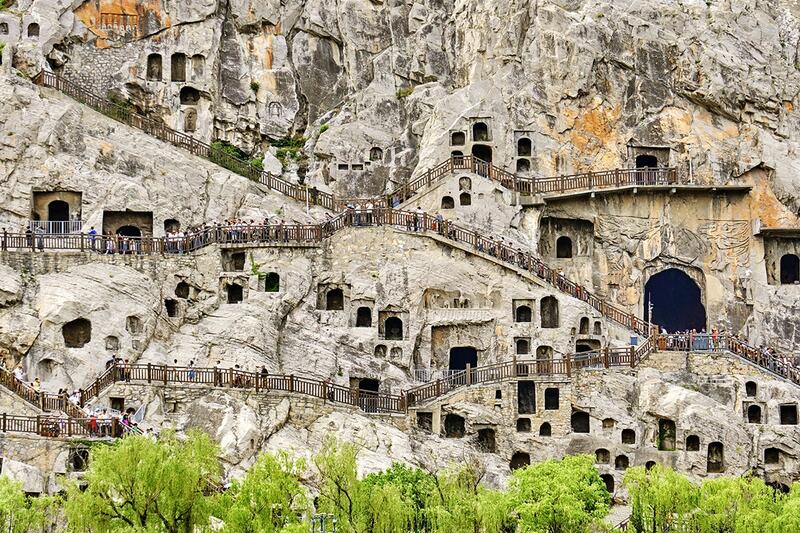 Construction began in 493AD during the Northern Wei Dynasty, and there are now 2345 caves with 2680 statues, over 70 stupas and 2680 inscribed stone tablets. 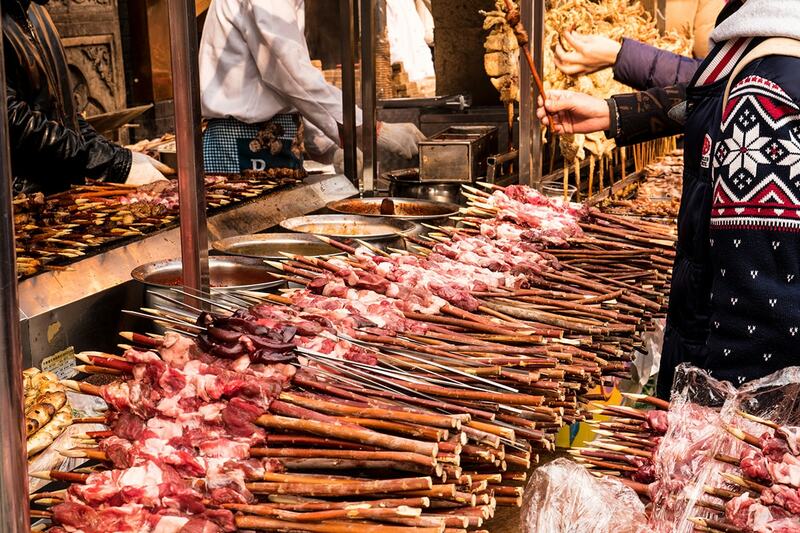 Continue on to explore the traditional shops and cuisine of Luoyang Old Town, with its stunning ancient architecture and imposing city gate dating back to 600 AD. Today you will visit the Shaolin Temple, situated in Songshan Mountain, it is the most reputable and longest standing temple in China. It is also the birthplace of Shaolin Kung Fu. The main scenic spots in the temple are the Hall of Heavenly Kings, the Grand Hall, the Sutra Depository, Hall of Thousands of Buddha and the Pagoda Forest. After enjoying a special Shaolin vegetarian lunch you will visit a local martial arts school. This tour will bring you face to face to know about a group of kids who are dedicated to Chinese Kung Fu. Later this afternoon you will be transferred to Zhengzhou city. Today, you will be transferred to Yichang by bullet train. Upon arrival, you will board the Yangtze River Cruise ship and to settle in before departure tomorrow. The expansive Yangtze River is the largest river in Asia and the third largest in the world. It is renowned not only for its impressive size, but also for the natural beauty of its surrounds. The river begins in the remote mountainous regions and winds its way through stunning gorges, lush and fertile regions and connects with numerous lakes and waterways. Start the morning with a morning exercise on board in the presence of the beautiful Three Gorges Dam. Spend your day out on an optional excursion or relax on board the cruise ship. This evening you will return to the ship and attend the Captain’s Welcome Banquet and enjoy the evening entertainment with a Chinese dancing ball. Optional Tour (additional cost applies): Excursion – Three Gorges Dam Site. The Three Gorges Dam Site is one of the largest construction projects undertaken by mankind and is the biggest hydropower project in the world. 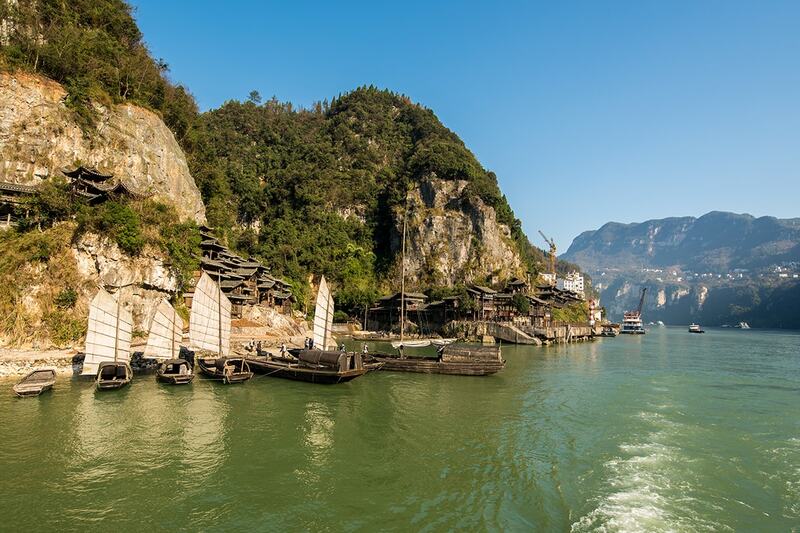 Optional Tour (additional cost applies): Excursion – Tribe of the Three Gorges. 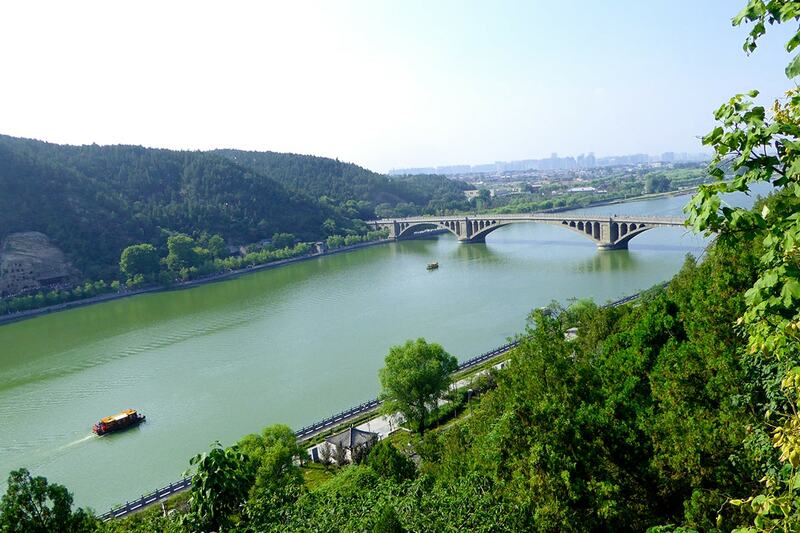 You may also want to visit the Tribe of the Three gorges, the only large scenic spot that has not been influenced by the Three Gorges Dam project, which showcases the abundant Ba Culture and Shu Culture. Today, you may choose to embark on the exciting optional excursions or opt for a leisure day on board the ship. The afternoon will see you continuing to cruise into the western section of Xiling gorge. Optional Tour (additional cost applies): Excursion – Lesser Three Gorges or Shennong Stream(Subject to the Cruise) Explore the Lesser Three Gorges or Shennong Stream, a shining pearl hidden in remote mountains. You will leave your cruise ship and board smaller vessels to sail through the narrower and breathtaking Lesser Three gorges region or Shennong Stream, lined by sheer cliffs and mountains. Optional Tour (additional cost applies): Excursion – White Emperor City You may also choose the optional excursion to visit the White Emperor City, an ancient temple that is located atop Baidi Mountain on the northern bank of the Yangtze River in Fengjie County. Yangtze River Cruise Today you will pass through the mountains of Eastern Sichuan. Participate in the optional excursion or relax by the pool, pamper yourself with a massage and make the most of the last full day on your ship. Tonight, enjoy the farewell dinner and pack your bags in preparation for disembarking tomorrow. Optional Tour (additional cost applies): Excursion – Fengdu ghost City. Today’s optional excursion is the Fengdu ghost City to see why it’s regarded as the “City of ghosts.” The temples built on Ming Mountain depict the punish instruments and demon paintings, demonstrating the Chinese people’s imagination of hell. Optional Tour (additional cost applies): Excursion – Shibaozhai. Shibaozhai is a 12-story wooden pagoda built against the rock in 18th century. It locates in Zhongxian County on the south bank of the Yangtze River. There are steles and inscriptions of past dynasties of each floor. Visitors may also appreciate the spectacular YangtzeRiver from the windows of each floor during climbing. Today, you will disembark the cruise ship and be transferred to Xi’an. You will be met by your tour guide and escorted to your hotel. Xi’an is one of the oldest cities in all of China, with a history of over 3,000 years. As one of the four great ancient capitals, it served as the capital city during several of the most significant dynasties in China’s history. 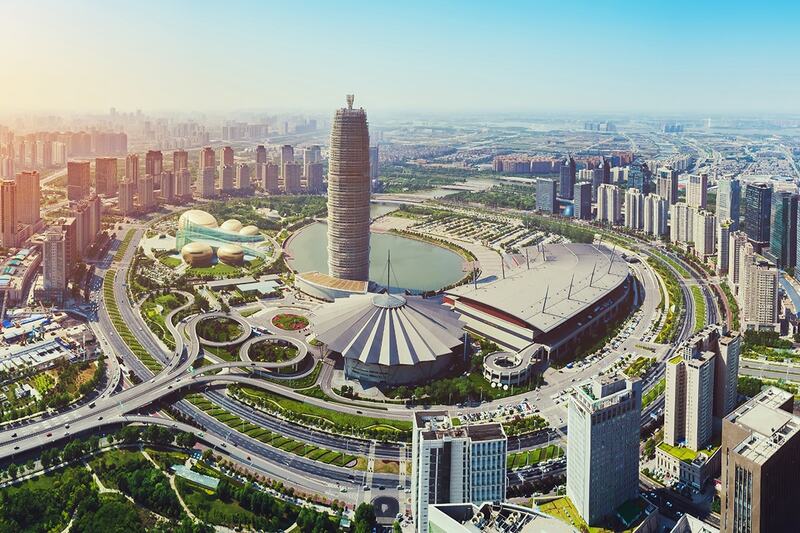 Xi’an is now home to a great number of precious and ancient relics, but is best known as the starting point of the famous Silk Road and where the towering Terracotta Army can be found. Take some time to relax ahead of your full day tomorrow. Today you will learn about over 1000 years of Xi’an history, which served as China’s capital for 13 dynasties and visit the Terracotta Warriors Site, considered the eighth wonder of the world and discovered by accident in 1974. Wear comfortable shoes today as, you will explore the army of over 7000 soldiers, archers, horses and chariots that has guarded Emperor Qin’s tomb since 210BC. Each figure is unique and the painstaking repair and evacuation continues to this day. On the way to the terracotta warriors, you will also visit an excellent factory where you can learn more about the creation, conservation and history of the Warrior vaults. After lunch, walk through the famous Moslem Street, where many delicious foods and souvenirs are available for purchase. A deposit of $899 per person are due at the time of purchase in order to secure your date.